My fiance and I bought our house in late 2012, and moved in almost immediately. We got an amazing deal on it, because of our willingness and ability to take possession right away. There was another offer on the house, but the offer was contingent on the sale of their home, so despite our offer being lower, ours was accepted. The house was and is perfect for our needs. We wanted to purchase a home that would be large enough for us to stay and grow in for the better part of the next decade. On our “must have” list was either a suite, or the potential for one. We wanted to be able to rent out the basement for the next few years until we needed the whole house. Our house had the perfect setup, and when we moved in, we were lucky enough to be able to rent out our suite almost right away. We rent to my brother, but prior to our current arrangement, we were looking for a tenant for the time period between when the suite was ready, and when my brother was going to move in. It became apparent that there are some unique challenges of being a young landlord. We are very lucky that we rent to a family member. We have some friends who bought their house when they were a little younger than us, and have always struggled with tenants. Because our friends are so young, their tenants have felt that they can be more relaxed and casual about their suite. As a result, things were broken and damaged more often; the tenants seemed to think that because the landlords were young, they didn’t care about their belongings and their investment. Our friends complained about being up late almost every night because their tenants were having parties or blasting their music. Younger landlords attract younger, and less responsible tenants, which caused our friends a lot of grief. We’re in our mid 20s, and as a result, there’s a general assumption that we party all the time. Nobody wants to live in a house where the people upstairs are constantly causing them to lose sleep. While we do like to go out once in awhile, we don’t party in our home, and are more likely to be home before midnight. Despite this fact, when we were looking for interim tenants, the ones that were interested and eager to move in were the ones that we didn’t want in our suite. It’s one thing to say that you’re quiet and therefore you want a quiet tenant, but a whole other thing when potential tenants meet landlords that are in their mid twenties. This isn’t so much a struggle, but it certainly provides some comic relief. I’m frequently (if not constantly) mistaken for either the tenant, or the daughter of the landlords. I’m young looking by nature, so I suppose that doesn’t help. The other day, the city came to the door to let us know about some roadwork that would be going on just in front of our house. They asked for the home owner, and when I identified myself as one of the owners, the man at the door gave me a look of pure surprise. We one time had a potential tenant come to see the suite and she was so confused when she met us at the front door. She clearly didn’t know whether or not to assume that we were the right people to talk to, or ask for the landlords. It’s not unheard of for people our age to own homes, but it is unusual for couples in their mid twenties to be landlords, and we get a lot of surprised looks when we identify ourselves as such. We are very lucky that we’re in the situation that we are in. We charge my brother a little less for rent than we would for somebody else, but that’s a small price to pay for a peaceful, drama-free living situation. I am the tenant of my parents in law’s house because they are in abroad for 7 years. I visited the house once a month to get the rent and I observed that there are lots of things to be fixed in the house. Are you responsible for fixing them, Clarisse? We owned two rental homes by the time we were 27 and it can be hard to get people to take you seriously. I’m 33 now and sometimes people don’t believe I’m the owner of my own home. I guess looking young is a good thing, right? Hahaha I should run a background check just in case. We’re lucky, but eventually he’s going to find a woman and settle down with her and we are going to have to go back to the “stranger” drawing board. I bought my first rental property at 23 and it can be a little intimidating showing the place to people in their 30s, 40s, 50s, etc. I made sure to be very professional, dressed well and, most importantly, know the answers to their questions. Nothing says “rookie landlord” like not knowing the exact square footage or how much the utilities are on average per month. I have also found that it’s very important to set the tone early in the lease period. 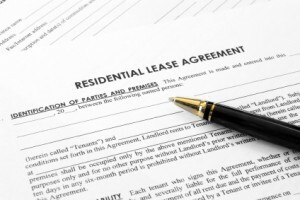 If your tenants violate a clause in the lease you need to write them an official letter detailing the violation. It’s up to you if you want to give them a warning for the first time (I have found that creates some goodwill) or not. What this does is it tells your tenants that you mean business. Great job on buying a home with an income suite to offset your mortgage while you don’t need that portion of the home. Have you thought about the option of buying another home and rending out both suites when you will need more space? Oh, DEFINITELY know the answers to questions – even if you haven’t lived there, you definitely need to know what the neighborhood is like, how old appliances are, etc. I live in Canada, and a part of Canada that has a lot of “housing bubble” bursting predictions – this is something I’d love to do, but housing isn’t so much an investment around here as it is a huge liability. If the market improves or the bubble ever bursts, then most definitely! Finding good tenants can be really tough. It’s worth taking longer to find a tenant who is responsible, can pay on time, and isn’t going to damage the property vs just rushing to find someone fast who qualifies on paper. No matter who you rent to, I strongly suggest making them get renters insurance as part of the lease! So true.. every rental we ever lived in required us to get renter’s insurance. It was good for the landlords and for us – peace of mind is worth a lot! Haha whenever a stranger knocks on our door, they ask for my “parents.” Sometimes I want to punch them! LOL. You must look as young as I do, then! I always go back and forth and weather it would or would not be a good idea to rent out part of my house. It sounds good, but then it sounds like too much work. Should ask more people who have done it themselves. Do you have a suite or are you thinking of renting out a bedroom? I can imagine tenants not giving as much respect to a young landlord and assume that they can get away with more things. I’ve thought about buying rental property but it’s expensive here in NYC metro area and the court’s can be somewhat tenant friendly if there are problems. Plus I’m not that handy of a person. Courts are definitely tenant friendly, and that’s definitely something to consider. I know what you mean when you say home prices through the roof – I live in the Vancouver area so I know how helpful a mortgage helper is!